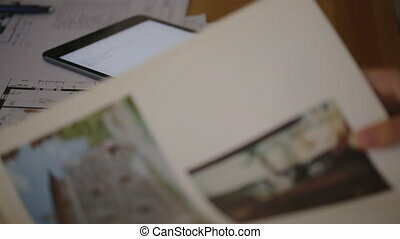 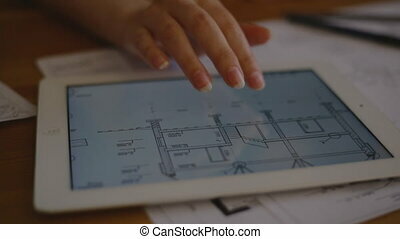 woman leafing through a book with pictures of architecture, an abundance of text and drawings, and a number are included blueprint and tablet with notes and records of the project. 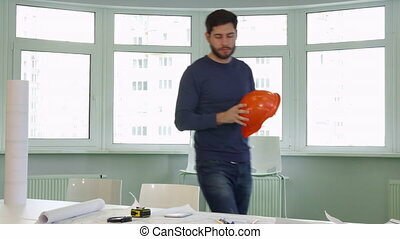 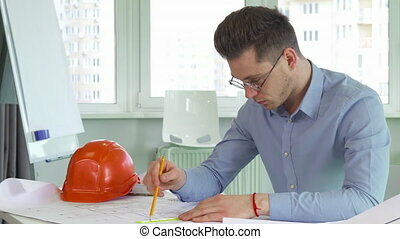 Young man is working with project documentation sitting in modern office. 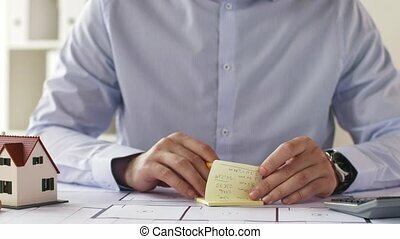 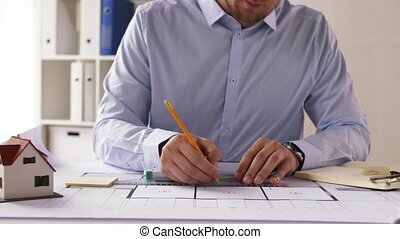 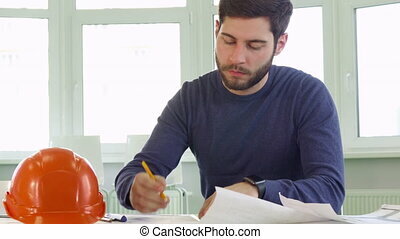 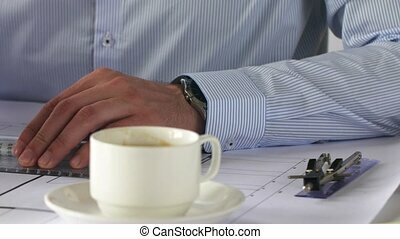 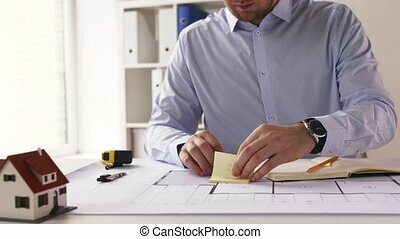 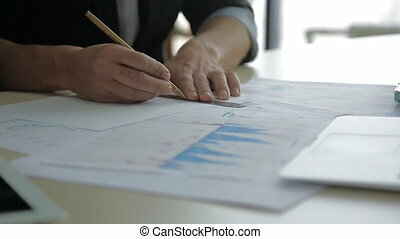 Male specialist makes lines on documents at table in leading company. 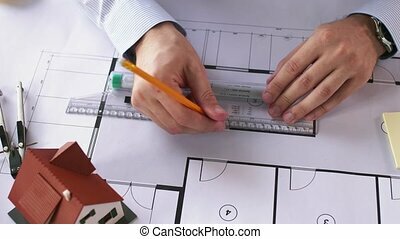 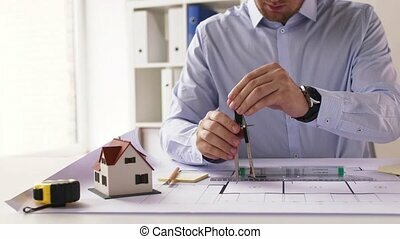 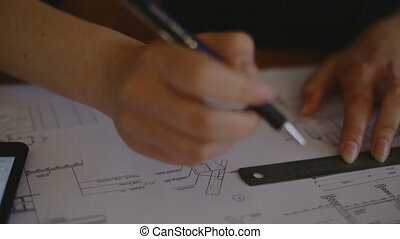 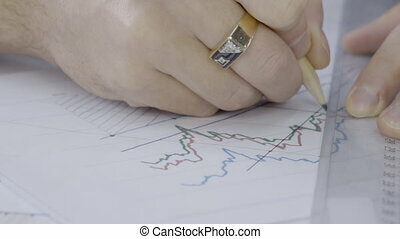 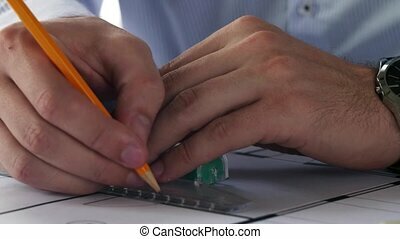 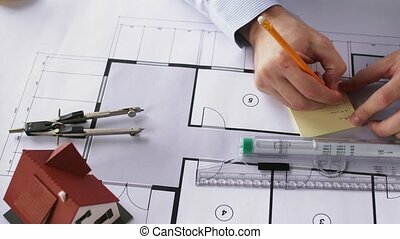 Talented architect does finishing touches in his work using graphite pencil and ruler, hi has gold ring on finger. 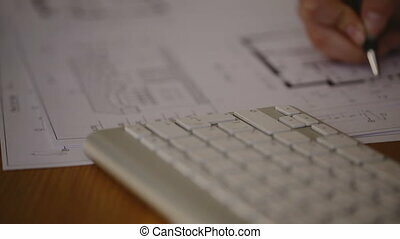 The hands of two architect students, who is doing the task on improving the building scheme. 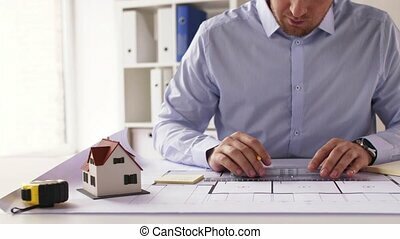 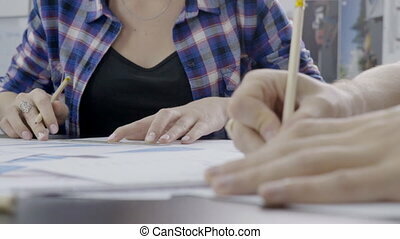 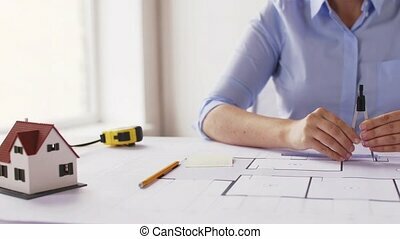 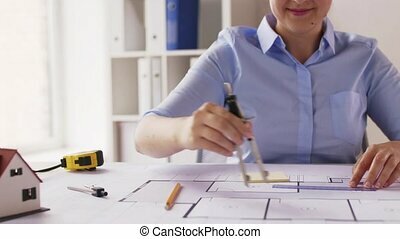 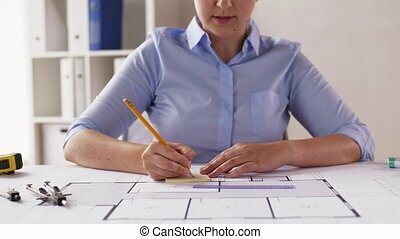 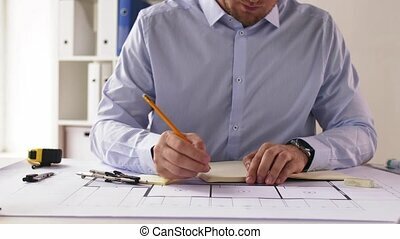 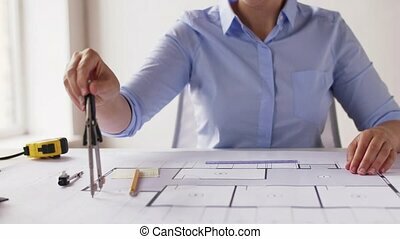 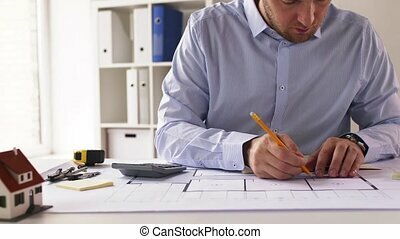 The lady is checkened shirt and her colleague are sitting at the big table with paper plans and reports on and streaking the lines using rulers and pencils.